ATM System has three outside broadcast vans using technology from leading manufacturers: SONY, RIEDEL, EVS, HARMAN, SACHTLER, and FUJINON. Professional, experienced and committed technical staff guarantees a high level of execution of production and ensures the highest quality of the recorded material. The work area of two of our vehicles amounts to more than 40m2 (with the possibility of division into two zones), which provide comfortable conditions for a team consisting of even 20 people. 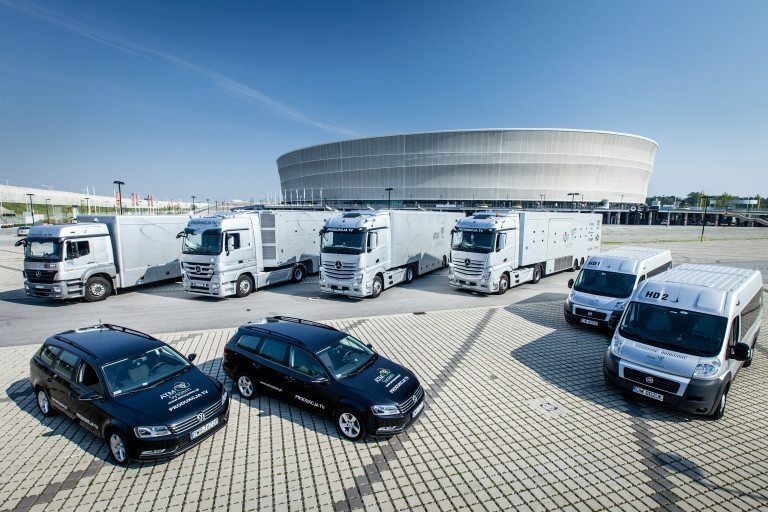 Our vehicles have been providing coverage of EKSTRAKLASA football league matches continuously since 2008.